Along with play detectors, brake testers & beamsetters, there are two more items required for ATL or one man test status. 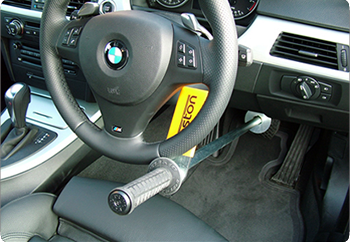 These are the new BA201 Brake Pedal Depressor and our high quality set of inspection mirrors. Both items are approved by VOSA and available for immediate delivery. 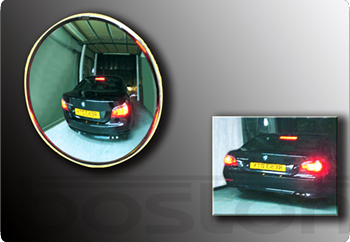 The 2005 VOSA specifications for one man testing require bays to include suitably positioned mirrors for observing vehicle lights from the driving position. We offer a range of rectangular and convex acrylic mirrors with wall and post mounts to suit every MoT bay layout. We offer a full range of garage equipment including emission test equipment, brake testers and beam setters, vehicle lifts, jacking beams, tyre changers and wheel balancers and MoT site planning.